The Solvang Bakery, a Solvang, California Danish bakery, announced that it will be donating $5 for each purchase of its new Gingerbread Dog House to the American Society for the Prevention of Cruelty to Animals (ASPCA®). A Danish pastry and gingerbread specialist for over 30 years, The Solvang Bakery is extending its renowned Christmas/Hanukkah gingerbread line to include the family dog this holiday season. By donating $5 to the ASPCA® for every Gingerbread Dog House we sell this holiday season, we get to help at-risk animals have rosier futures. 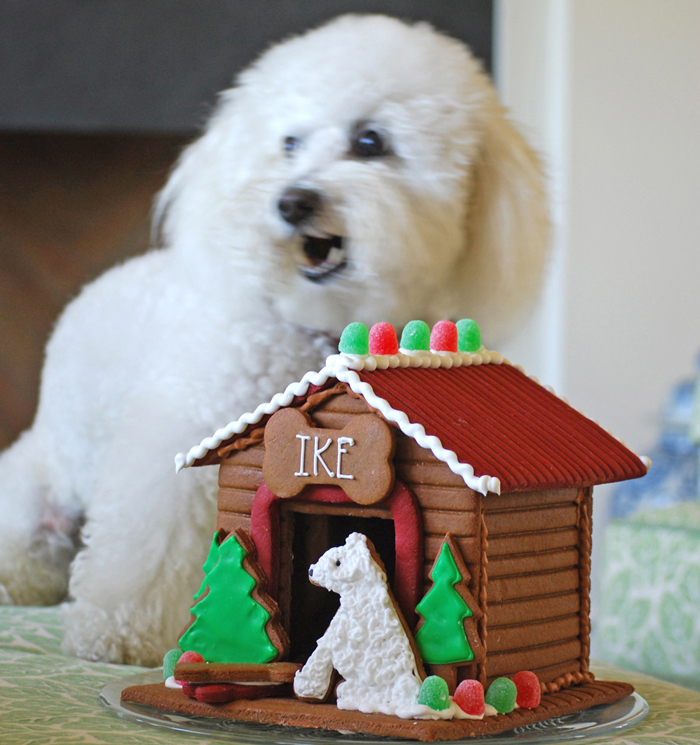 The Gingerbread Dog House is modeled after the dimensions of a typical all-American dog house. 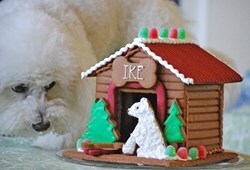 A gingerbread dog bone sports the name of the family pet above the door, and a gingerbread dog sits guard on the porch. Owners select from five color options to match their pet’s fur, and may also have their surname hand-iced on the roof. Incorporating only dog-friendly ingredients, all features are edible. As with all of The Solvang Bakery’s gingerbread houses, everything is crafted by hand. Base model ($99). “We’ve been fortunate to have a loyal and growing following for our holiday gingerbread houses,” said Redell. “We’re so grateful for people like Kelly Ripa and journalist Frances Schultz for being vocal fans of our products.” The Solvang Bakery has been shipping its gingerbread creations to movie, TV, and sports stars, as well as other luminaries throughout the country since 1995. “We think of our own dogs as family members, and we know many of our clients do too,” said Redell. “Now they have a place at the table." For more information, or to schedule an interview with Melissa Halme Redell or Susan Halme, please contact Julie Farrell at 805-448-7777, or Julie(at)SolvangBakery(dot)com.